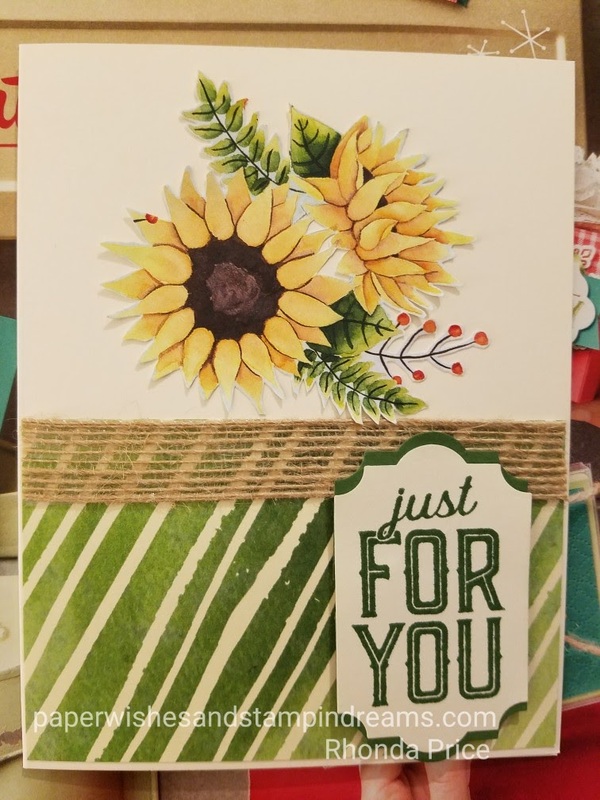 The second Fall card from the 2017 Holiday Catalog is, sunflowers. I just love the Painted Autumn Designer Series Paper. The sunflowers were fussy cut from the paper. The sentiment is from Merry Little Labels. There are three new punches in the holiday catalog and I used the new Everyday Label Punch to punch out the sentiment. Leave me a comment to let me know what you think of this card. Follow me to see new cards posted. I will update with product info when the new catalog goes live on September 1st.